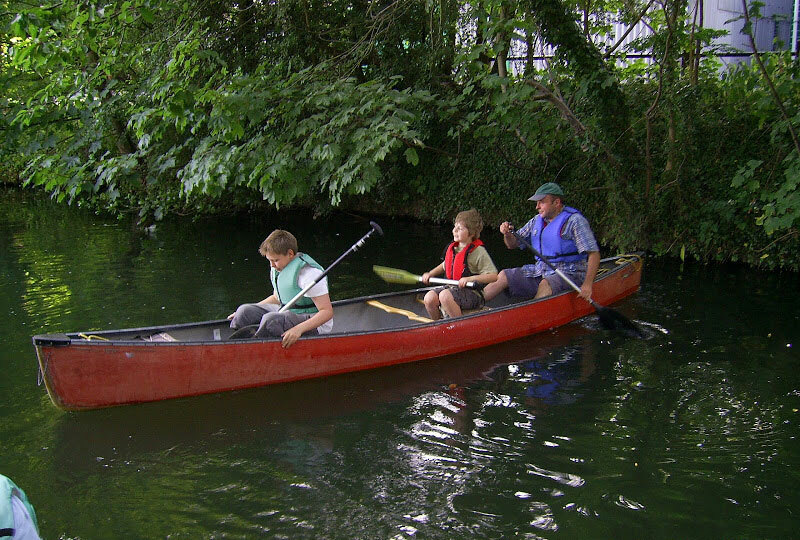 Introduction to canoeing, for non members, up to 2 hours: – £12 adults; – £7 Juniors over 9 years old. All equipment provided. HYMB EN8 9AJ for details edcanoe@gmail.com 07850190537 You could be paddling today. Ah but which craft do you mean? Paddle with a friend in an open Canoe. It is now January 2019 and the best way to get a quick start in the sport is to come along to one of Edmonton Canoe Group introductory sessions. Usually on Saturdays although at present they are in a heated swimming pool early Sunday evenings. They can also be arranged at any time email edcanoe@gmail.com & I will get back to you. 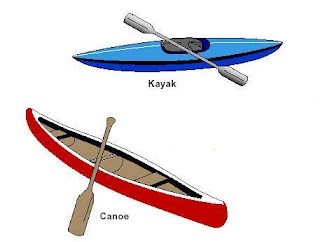 For those of you who have already done some Kayaking you could learn to roll your kayak. It is not as hard as you think. This time of year definatly in a swimming pool. Founded in 1983 the Edmonton Canoe Group is now celebrating 36 years of introducing newcomers to our sport. 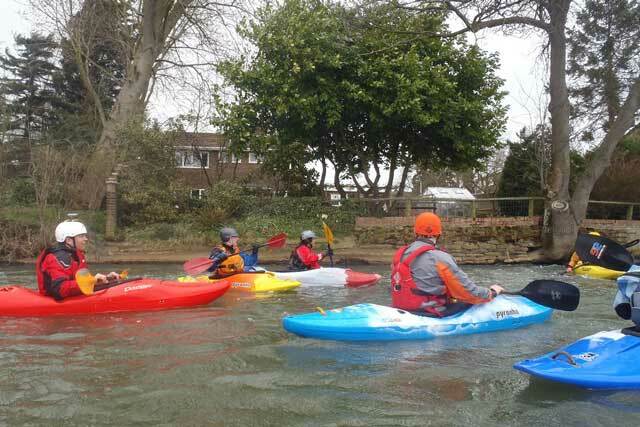 The Group was founded in Edmonton North London but now meets regularly at Herts Outdoor Centre (hymb.com)231 Windmill Lane, Cheshunt, Hertfordshire. EN8 9AJ The group is affiliated to the British Canoeing and has a team of fully qualified coaches to help you enjoy your visit and show you how to paddle safely. 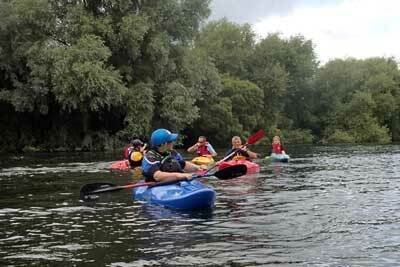 We have an enthusiastic group of members of all ages who enjoy paddling with us. There is something for everyone from gentle trips exploring the quiet lakes and streams in the Lee Valley to day trips to the Sea. For the more adventurous you can try the thrills of whitewater with visits to mountain rivers and the Olympic white water course at Waltham Abbey. Edmonton specialize in introducing beginners and families who want to learn how to paddle. We can also set up special sessions for groups, if you have a youth group or group of friends at work contact us and discuss what you would like to do. Birthday parties are always good fun. Come along, meet us and see how much fun being on the water can be. Bring a towel, change of clothes (No Jeans) & footwear that will get wet. Saturday session continue at the base. Meet at 9.30 am, on the water for 10 am. Every Saturday unless it is frozen. 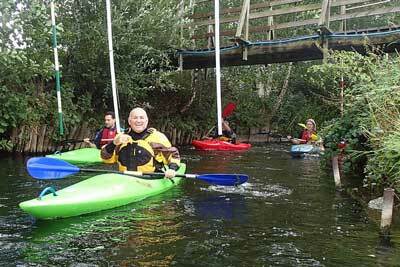 Monday evenings Herts Canoe Lifeguards meet at Herts Outdoor Centre 7pm – 9pm. For your first session please arrive 1/4 hour early to meet the team. Training in canoe lifeguard skills. Light hearted starters sessions start at 2 pm through till 4 pm on Saturday after noons must be at reception by 2 pm. By appointment only. Beginners welcome. Cost £12 for up to 2 hours juniors £7, all equipment provided. Just bring a full change of clothes & a towel. Plimsolls or old trainers that WILL get wet. No Jeans please. Come & try it sessions can be run for you at a convenient time £12 for up to 2 hours. Birthday parties & river trips, are also available.